Gestede missed several months earlier this season after picking up an leg injury in a "freak" incident. "It's a massive blow for us. Out of all of the strikers, he's looked the most likely to score," boss Tony Pulis said. "We're really disappointed, but we've got options up there, whether it's Patrick [Bamford] or Britt [Assombalonga], they have to step up to the plate." 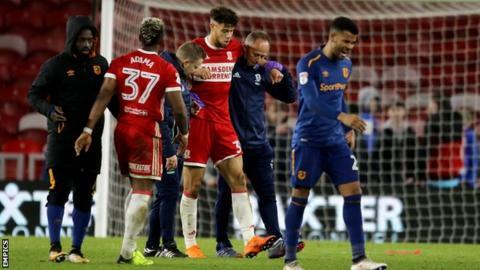 Middlesbrough face struggling local rivals Sunderland on Saturday and are three points outside the Championship play-off places in eighth.